Beautiful card Cindy and I LOVE the colors you used on this!!!! Hope you and your family have a Very Merry Christmas!!!!! Beautiful Cindy. You sure showcased that die perfectly. Merry Christmas. Just gorgeous, Cindy! Merry Christmas~! What a nice card with beautiful colors! Merry Christmas! This is beautiful great Job!! 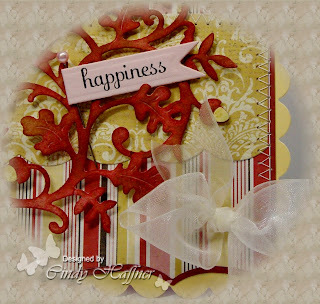 Cindy this is so pretty, love the die on this, so versatile. I like the colours and shapes and stitches. Beautiful card.